It’s an unusual combo, and it is likely to divide the nation. 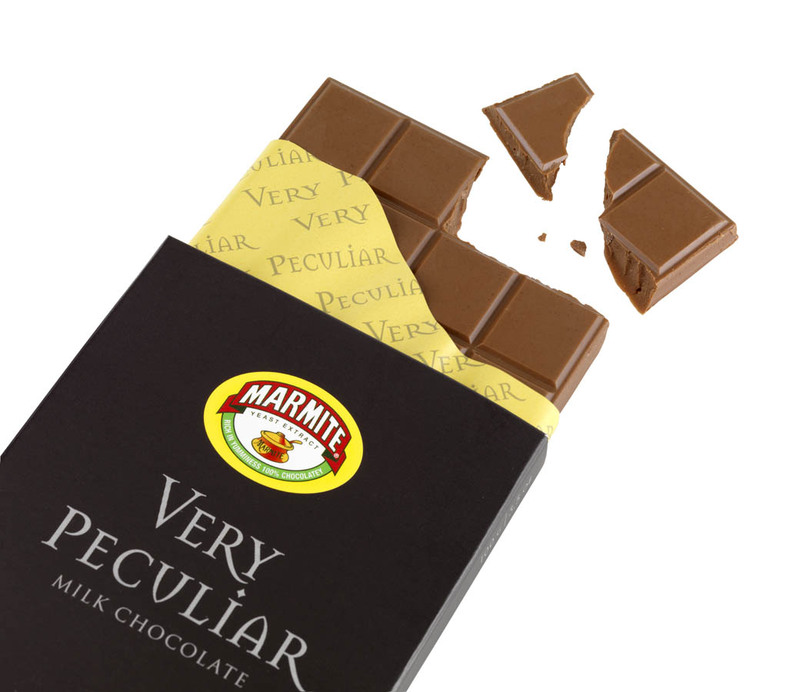 Marmite has done the unthinkable, and released a somewhat controversial chocolate bar. The ‘Very Peculiar’ 100g bar combines milk chocolate with yeast spread, onion powder and garlic powder, and is now available on supermarket shelves. It reeks of the much-loved, and much-hated, Marmite spread. The smell is nostril-tickling, and a quick sniff will go straight to your head! But once you pop a piece into your mouth, you don’t really get any sense of Marmite flavouring until the very end. It’s instantly sweet and creamy, and melts in your mouth, but once it slithers down your throat, you get a salty finish and a quick tinge of Marmite which stays in your mouth for a long time afterward. Strangely, it’s moreish and actually hit a strange spot among the taste buds. I’d recommend all Marmite lovers, and adventurous Marmite haters, to give it a go! The chocolate forms part of Marmite’s limited edition Christmas range, and could be a good stocking filler. I hate Marmite but can’t decide whether I like the chocolate or not! It tastes so strange but I’ve already bought some for my mum’s stocking as she absolutely loves Marmite! Haha! It has a strange taste but it’s a little moreish hey? If your mum likes Marmite, she’s bound to like the chocolate!